Workshop series presented in Orlando, Florida at the SRM Annual Technical Conference were streamed live and recorded for archived use. 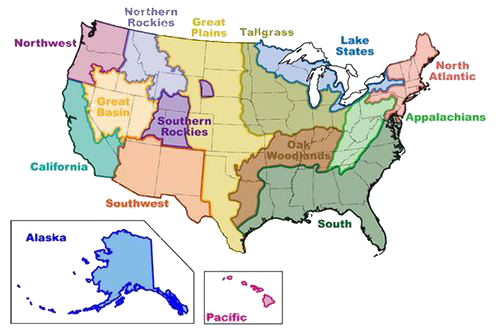 2/10/14 – Workshop 1: ESD Uses and Users, provides examples of ESD uses in diverse ecosystems throughout the United States. This workshop is a showcase of the increasing development and use of ESDs for all land types. 2/11/14 – Workshop 2: Unifying Concepts for Riparian Ecological Sites, focuses on advancing ESD concepts for riparian ecosystems, which differ from upland systems in the degree to which hydrology drives ecosystem dynamics. This riparian ESD workshop is part of a larger effort to advance the conceptual framework of ESDs in riparian systems, and will present the current state of RCESD concepts and provide opportunities for input from a broad audience.